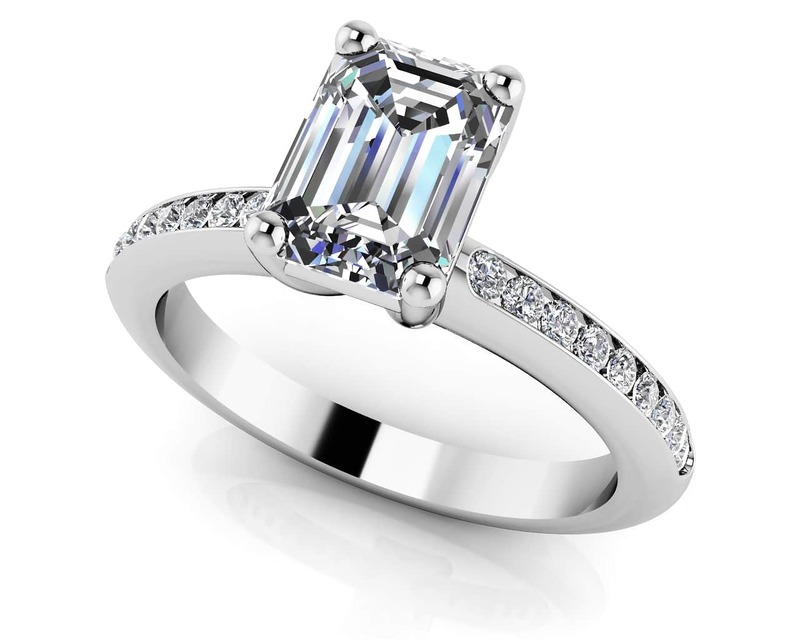 This engagement ring features a stunning emerald cut center diamond with a single row of diamonds to complete the look. 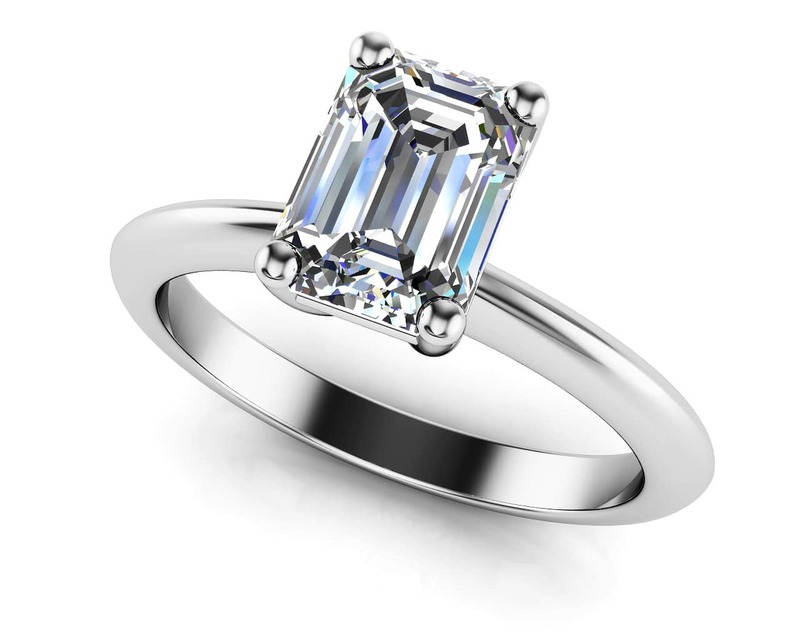 The Emerald cut center diamond is framed nicely in a four prong setting and the side diamonds in a channel setting. 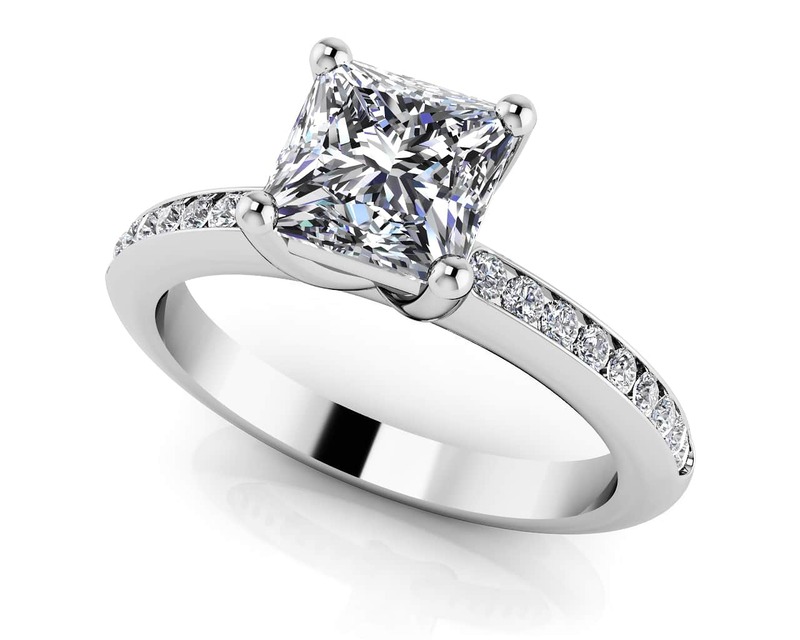 Customize the engagement ring by selecting the metal type, total carat weight, diamond quality and ring size.